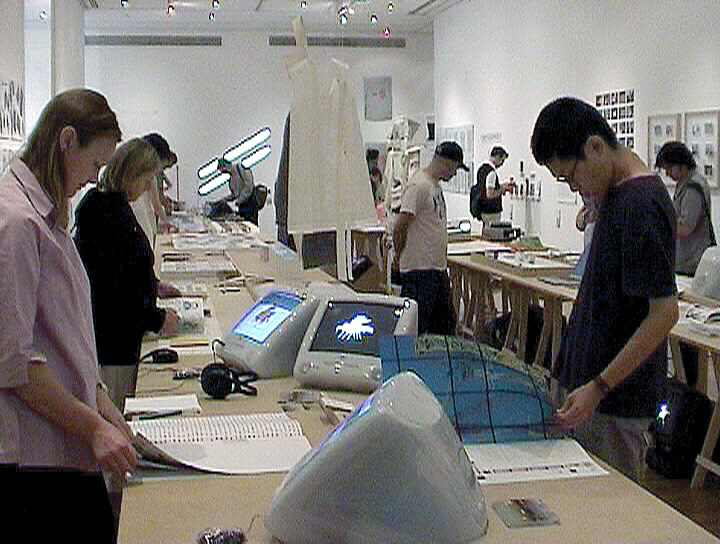 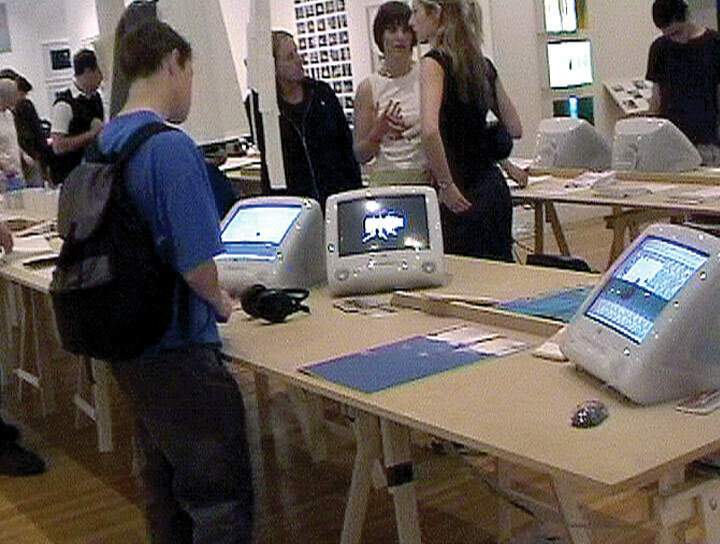 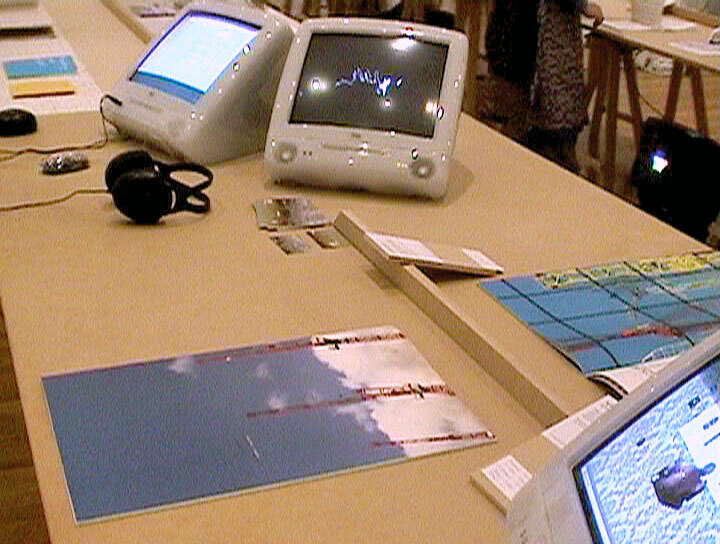 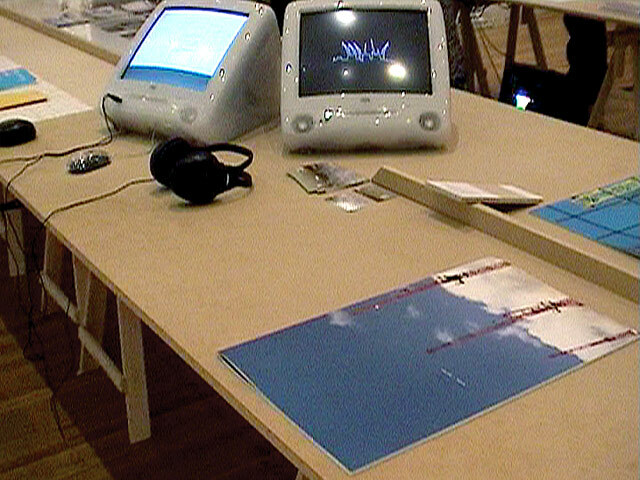 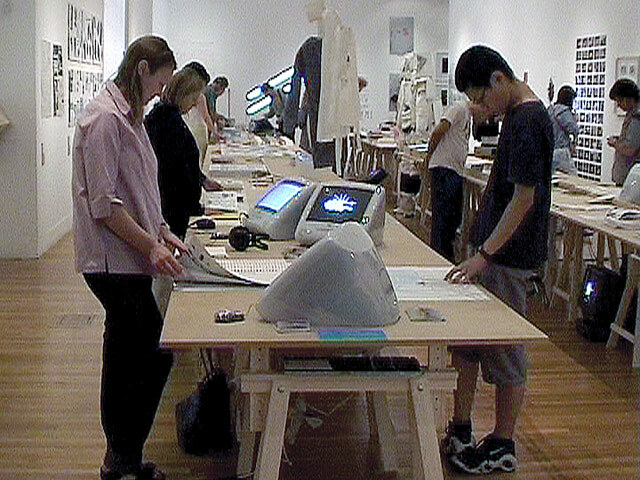 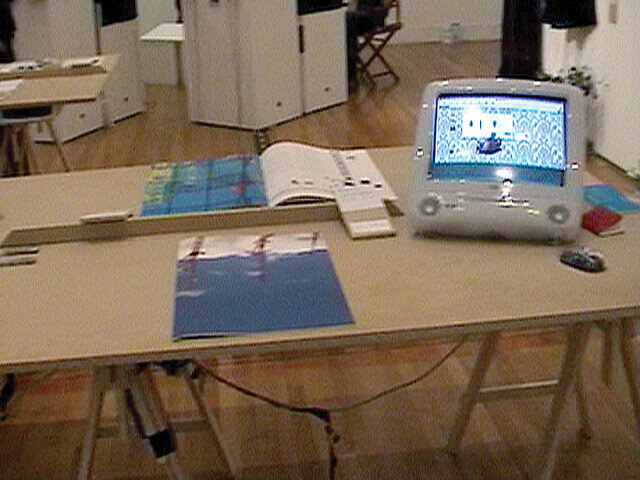 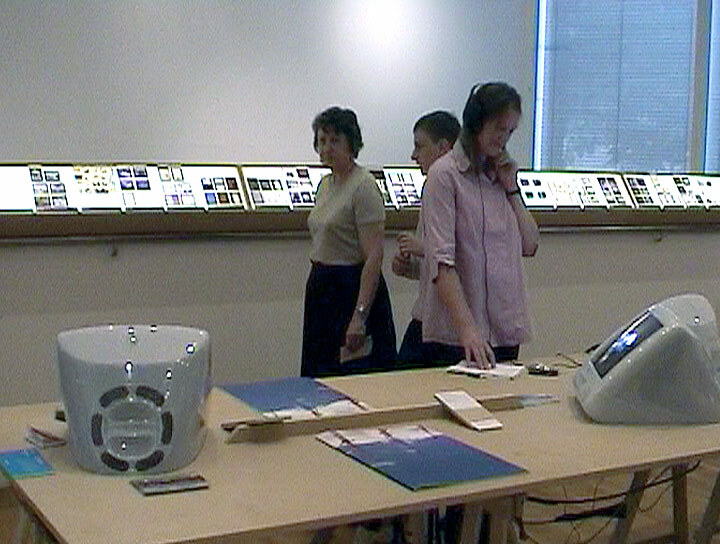 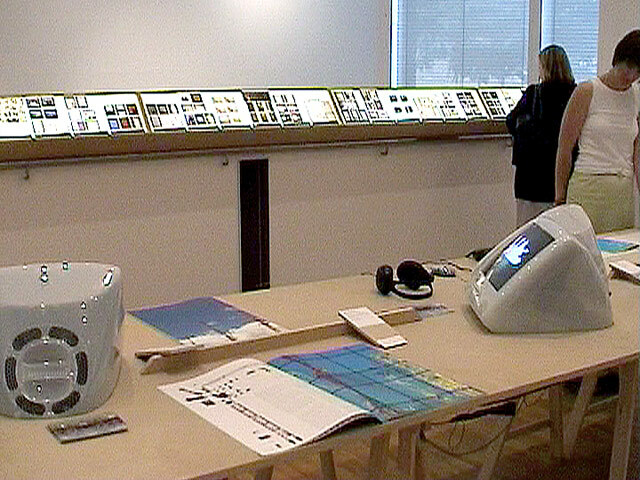 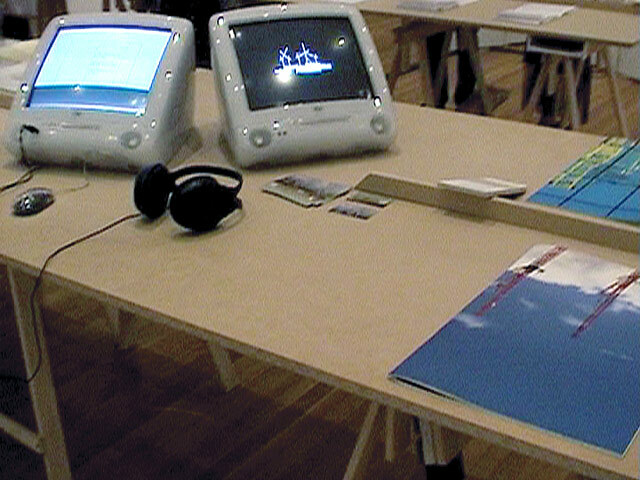 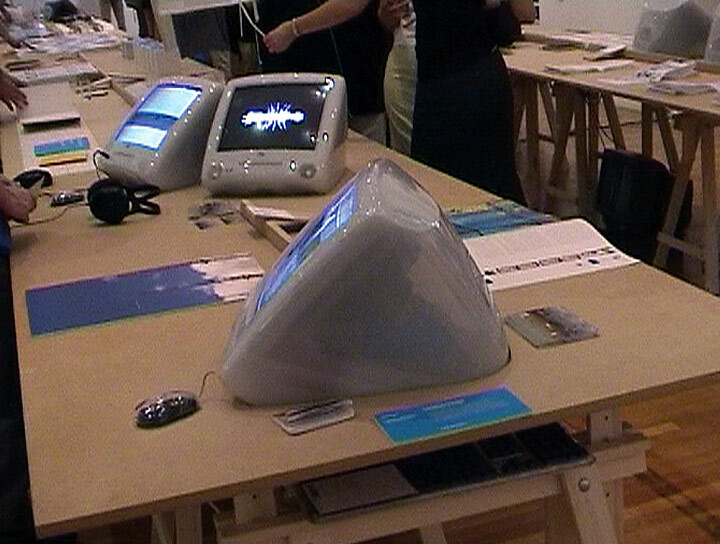 The RCA Show 2001 was visited by approximately 40.000 visitors with hundreds of visitors queueing outside on the opening day. Shown here are stills from a short video taken a few days after the opening. ___ Trans-form magazine, its attached CD-Rom Trans-it and the accompanying art site trans-port.org were launched here and became a blueprint for FL@33's multi-disciplinary approach and future endeavours of the studio's founders Agathe Jacquillat and Tomi Vollauschek. 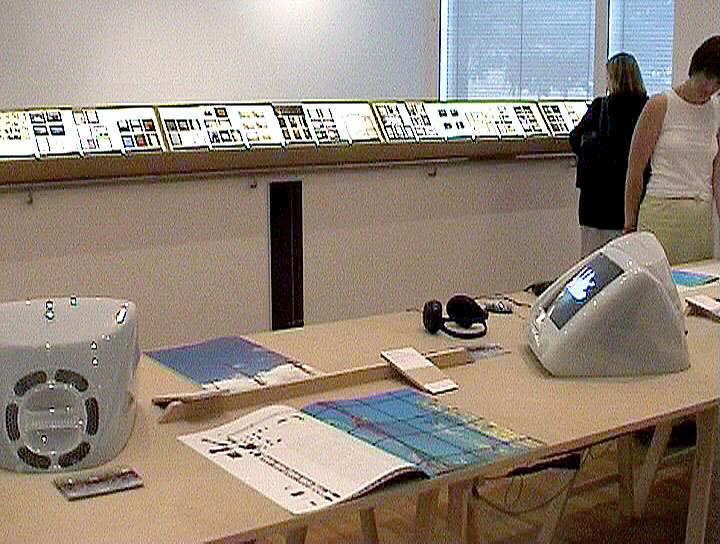 September 17th, 2015 — Crane-spotting: GraphicsRCA travelling exhibition including FL@33's Trans-form magazine and Singing Pasta animation in Brasilia until 27th September, 2015. The Royal College of Art also posted a Vimeo here.